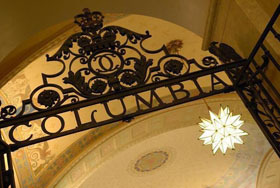 All members of the Columbia community with valid UNI/passwords who are traveling (or are simply off-campus) can still access library resources. We are pleased to share the Columbia Global Library Services Research Guide, an overview of the electronic resources and services that you can access from anywhere in the world. This guide is a work in progress and we’d love to include tips and helpful links from all of you Columbia scholars who have studied or done research abroad. Please email Meredith Levin, Western European Humanities Librarian, mjl2209@columbia.edu, with your suggestions. This entry was posted in News on April 10, 2017 by Meredith Levin.